We have some new long-legged creatures to introduce you to! We welcomed two female maned wolves, sisters Joy and Scarlet, from the Little Rock Zoo in mid-October. You can now visit them at their exhibit in the zoo’s Wildlife Survival Zone. 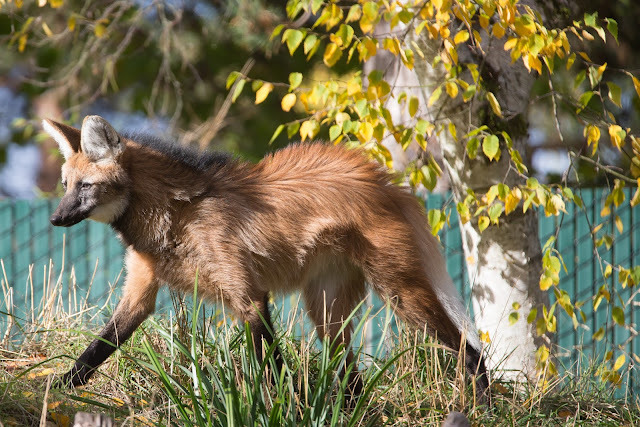 Neither a fox nor a wolf, Chrysocyon is a species all its own with stilt-like legs, a pointed muzzle, an impressive red coat and dark mane along the back. At home in the grasslands and scrub forest of central South America, these crepuscular canines roam the marshes and woodlands at dawn and dusk in search of fruit, small mammals, birds, eggs and invertebrates. The arrival of Joy and Scarlet followed the departure of the our sole maned wolf, Vinny. 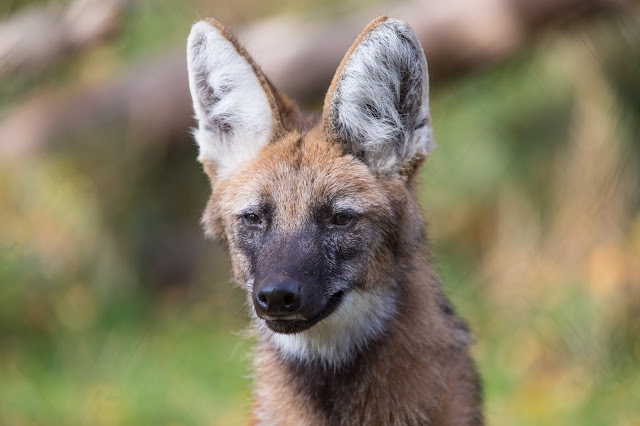 Vinny was recommended to be sent to Fossil Rim Wildlife Center to be paired with a female for breeding under the maned wolf Species Survival Plan, explains Shawn Pedersen, a collection manager at Woodland Park Zoo. Little Rock Zoo was looking for a home for their two young females, so we were able to move Joy and Scarlet here. Maned wolves aren’t as vocal as other wild dogs; instead they use their pungent urine as a clear form of communication. 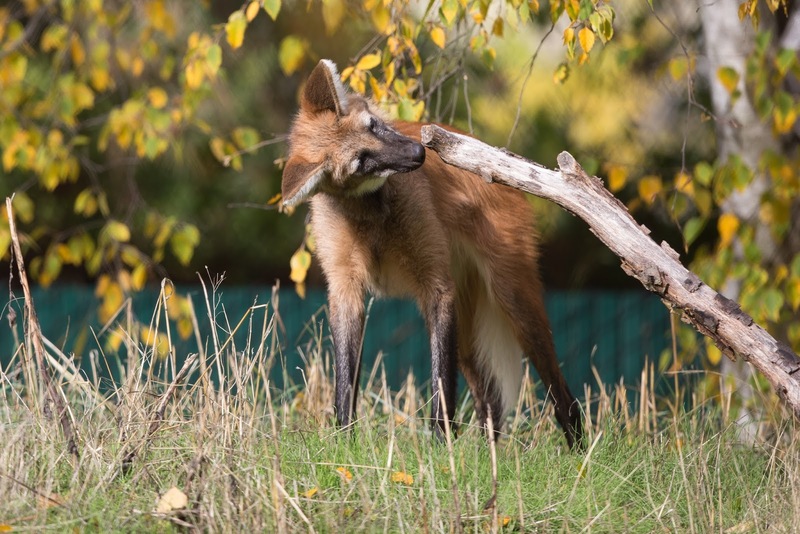 Maned wolves are large canids that have fox-like characteristics, an impressive red coat, large ears, and stilt-like legs, adapted for living in the grasslands and scrub forest of central South America, from Brazil to the dry shrub forests of Paraguay and northern Argentina. 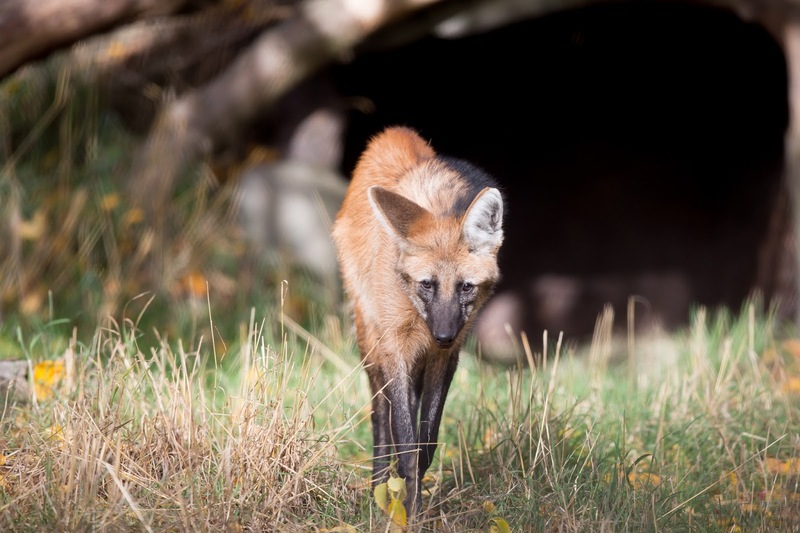 A maned wolf can tell a lot by sniffing another’s scent mark. Often used as a means of marking territory, the strong “perfume” can act as a warning to other maned wolves up to a mile away. 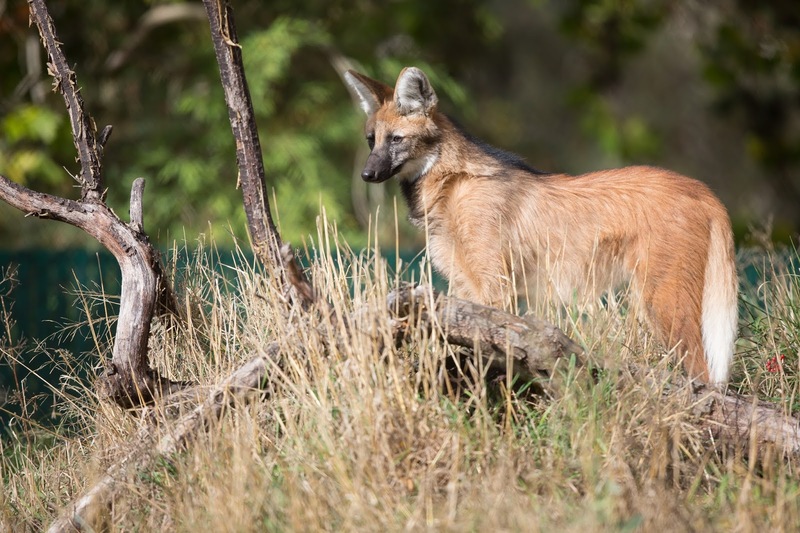 In the wild, the gentle and timid maned wolves are primarily solitary, although a breeding pair usually remains monogamous and shares the same territory. 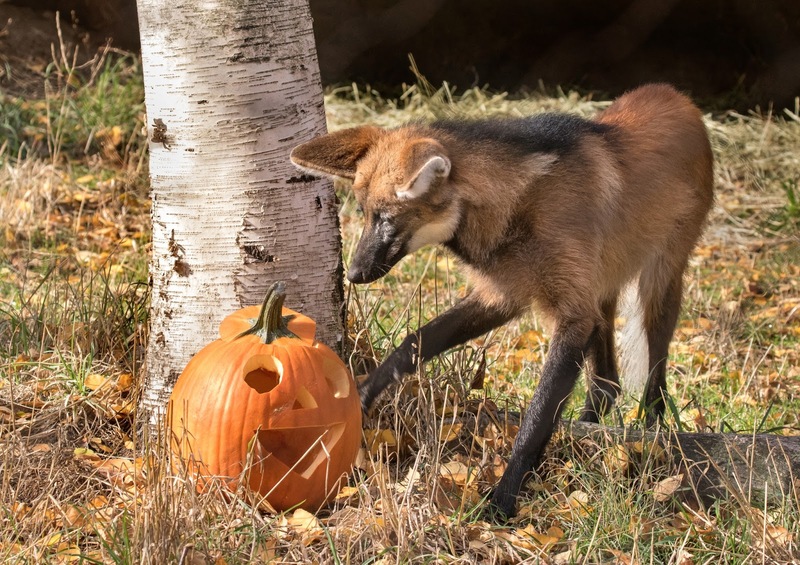 Maned wolves are listed as near threatened due to loss of habitat by encroaching human populations, the introduction of certain diseases and hunting for their body parts, believed to have medicinal healing powers. Only about 13,000 remain in the wild. Curious and always checking out the scents in their new digs. Accredited zoos are responding to species decline and are leading the way in preserving animal populations, including maned wolves. Conservation breeding of threatened and endangered animals is conducted through Species Survival Plans (SSP), conservation breeding programs coordinated through the Association of Zoos & Aquariums. Woodland Park Zoo participates in 108 SSPs. Testing out Pumpkin Bash treats in late October.